Relax on the front porch of this beautifully appointed home.Incredible wood floors throughout the first floor AND upstairs as well.Chefs kitchen complete with GAS cooktop,granite, and stainless steel appliances.Kitchen is open to family room;perfect for entertaining.Family room boasts soaring ceilings, Bose SS and awesome media center. 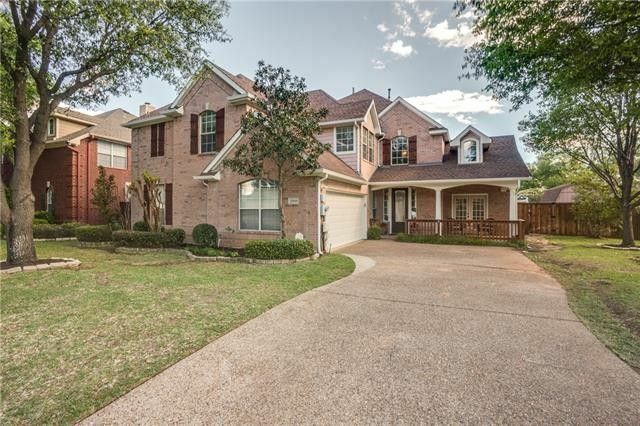 Spacious master features wainscoting and own private office,nursery or work out room.Pottery Barn ensuite bath with custom built ins and frameless glass shower.HUGE closet with custom built dresser. Gameroom upstairs for the kids. Covered pergola in the backyard for outdoor parties.Store all of your lawn equip in the oversized storage shed.Neighborhood pool,playground and tennis!